It has been a long wait, but it is finally here, the latest special edition release from Pelikan, the M600 Vibrant Orange SE. It is so very orange though it does have a slight pattern where on mine two stripes along the barrel are more sparkly than other parts. Like the other pens in Vibrant series, only the blind cap and grip section is black. The material is quite translucent as evidenced from pen image above where you can easily see the grip and nib end gold ring. I chose to get an extra fine nib with this pen hoping that the advertised cost increase for this size nib would lead to better quality grinds and therefore nibs will produce a finer line. 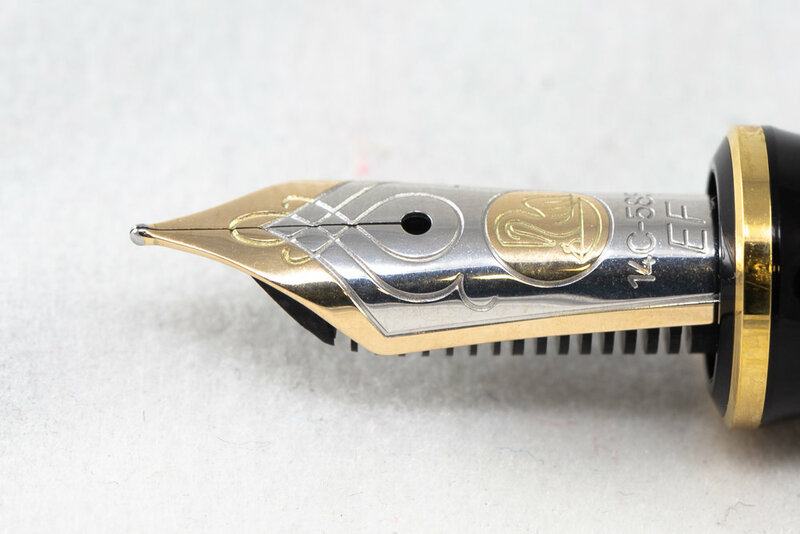 Well, my theory paid off with this 14K extra fine nib as it wrote perfectly out of the box with a line width that rivals some of my early-2000s extra fine nibs. All in all, I am delighted with this nib. 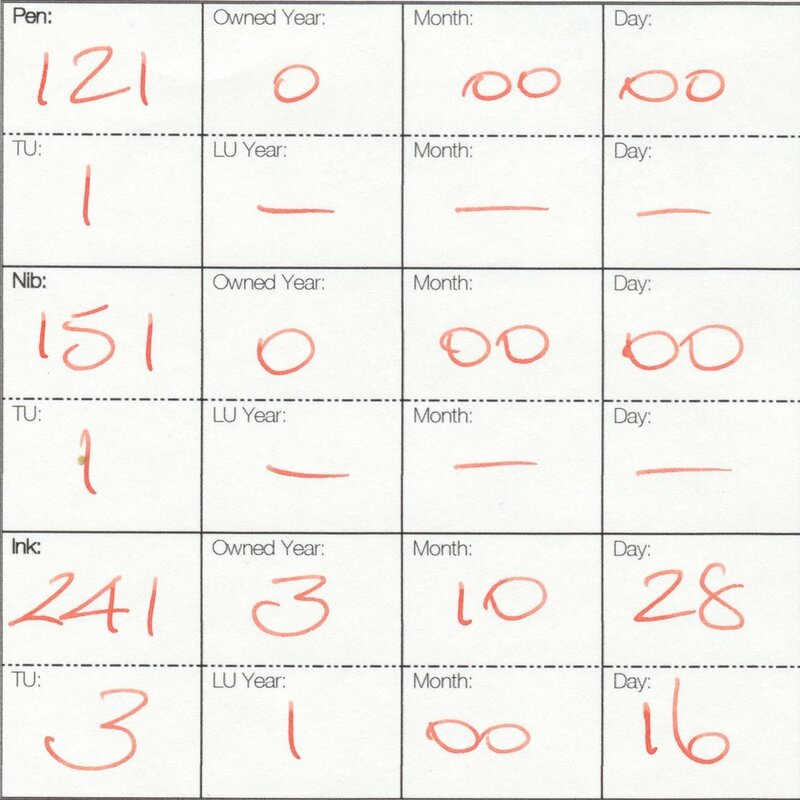 I chose to over-rule my database’s selection for the ink to go with this orange. I felt that at least first up I should ink up an orange ink. 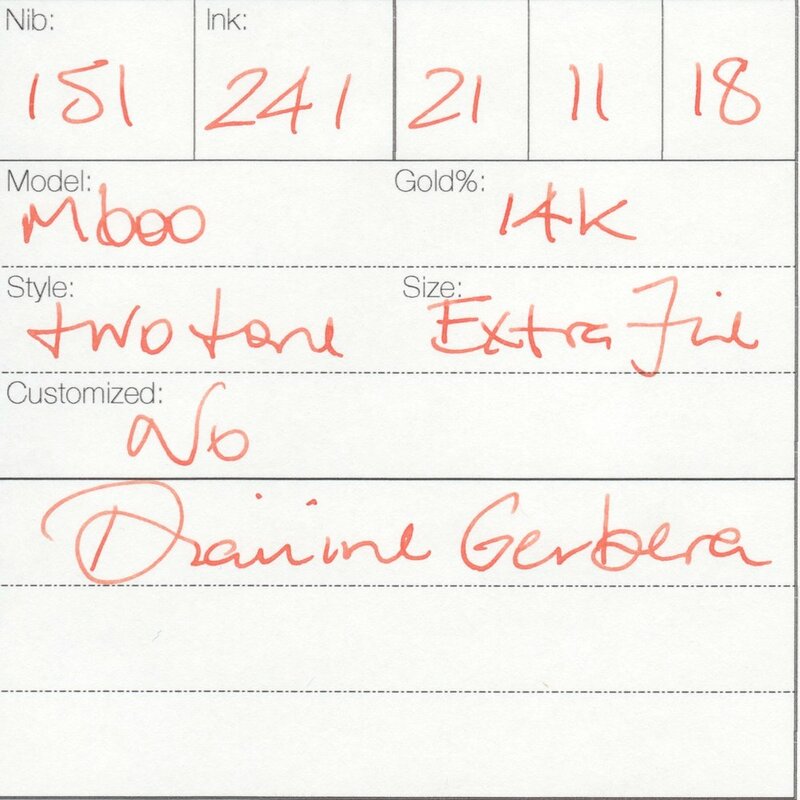 Given the limits of needing to be ink that with a 4 for DOW, an ink rating of 2 or less and being orange I ended up only having a choice between Diamine Gerbera and Robert Oster Signature Orange. As you can see I chose the Gerbera. It is a nice shading orange ink that lacks a brightness compared to ROS Orange but will be more useful at the office.